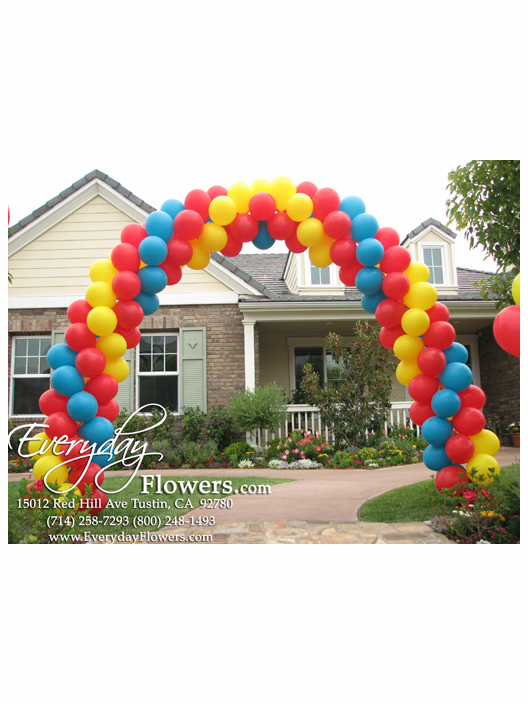 Balloon Arches start at $240.00 for a 20 foot arch. It is $12 per foot after 20 feet. Dimensions would be a 10 feet high X 10 feet wide. Available using up to 4 colors. Balloon Arches are constructed on site and for normal delivery and setup between the hours of 9AM to 3PM there is a $75.00 setup and delivery fee Monday though Saturday. Setup outside of those hours and on Sundays will depend on the day and time.